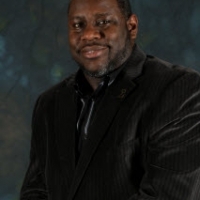 Dr. Thaddaeus Irby currently performsastheLead Program Manager for the Commercial and Retail Experiences within General Motors (GM)andis a M.B.A.-levelAdjunct Professor at Wayne State University (WSU). 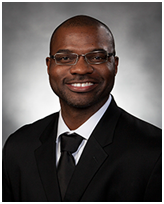 Dr. Irby’s career began in 1998 within the U.S. Air Force. After a 4-year enlistment, and over the next 13 years, he worked for SAIC, Lockheed Martin, and Ford Motors in Program and Project Management roles. Dr. Irby received a B.S. Business Administration from the University of Maryland University College (UMUC), M.S. Project Management from The George Washington University, & a Doctorate of Management from UMUC. 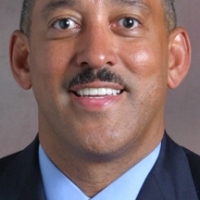 Dr. Irby’s achievements include receiving theLM Celebration of Excellence – Individual Excellence Award, Black Engineer of the Year (BEYA) – Modern Day TechnologyLeader Award, DoD High Performance Computing – Up & Coming Hero Award, U.S. Presidents Community Service Award, six Significant Recognition Awards, &the U.S.A.F. Joint Service Achievement Medal. Dr. Irby has participated in or led over100 community service activities such as state and countysciencefairs, Black Engineer of the Year STEM Conference, Junior Achievement, Great Minds in STEM, Math & Science Academy; and created STEM mentoring video with National Geographic.